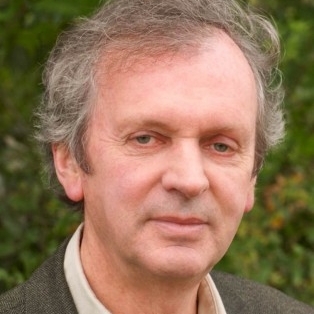 In some circles, Rupert Sheldrake is controversial. The debate over whether to post his TED Talk about the morphic field caused a storm when an anonymous science board said no, he’s full of hooey. Why? In this local discussion group, held in a Minnesota IONS home in October 2014, three members introduced the story of Rupert Sheldrake — the Man (Dan, 2 minutes), the Theory (Patrick, 7.5 minutes), and the Evidence (Mikki, 6 minutes) — to launch our 45-minute group discussion. Here is an edited version of that introduction… trimmed to some essential nuggets, but roughly edited in that it doesn’t even attempt to muffle the noises from the kitchen. It might not be a professionally rendered video, but gives the flavor of what was discussed. The group conversation afterward was energized, with those in attendance generally agreeing that we are living in an interconnected universe and that it is a matter of time, and ever-widening conscious conversation, before others recognize what that means. Interacting as if we are separate beings — as if our attention, intention and awareness don’t communicate with the “all” — will need to fall away. If you’d like to learn more about Sheldrake’s theories, here is a link to a good article in Scientific American. And this is a YouTube link to his controversial view (by some) that science is limited in its scope — here is interesting commentary after that TedTalk was initially taken down. Finally, this is also interesting comment from Sheldrake himself who would like a public debate with someone on the mainstream scientific board that thought his talk shouldn’t be aired on TED. ← Guidepost #1: Open for conversation!